I’m all about paying homage and harkening to the days when hip-hop was both collaborative and competitive. One of the elements from the days of old was the “one emcee, one producer” album. Two artists who genuinely have built together who genuinely have a chemistry together, coming and putting the results of that relationship. 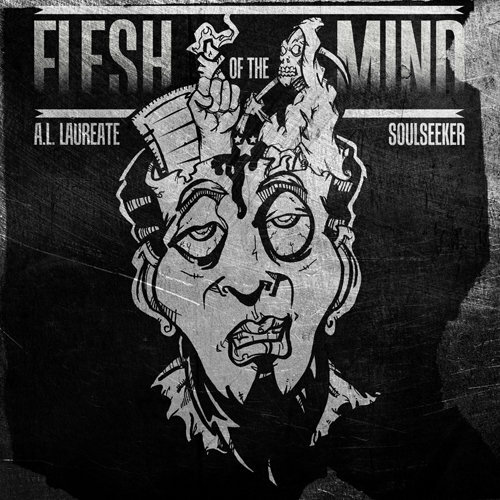 Today I have United States emcee A.L Laureate teaming up with Netherlands producer Soulseeker to become “Flesh of the Mind”. I’m going to be honest with you family this is a dark one and it’s fitting given where the world is at right now. Let me make this clear this isn’t some “oh no I’m feeling kind of sad” type stuff, this more along the lines of “uh-oh the world is actually ending” type music. Joints like “iCantSleep” will touch the majority of listeners on just the haunting thoughts that creep in our head when we’re trying to sleep. You can stream “Flesh of the Mind” below and get ready because we’ll be reviewing the project soon.